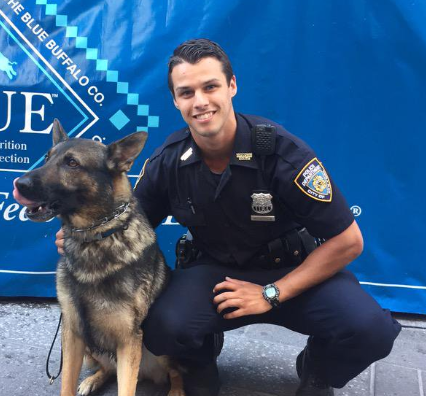 NYPD Officer Brendan Mcloughlin has been featured on the department Twitter page several times. Here he is pictured with a K-9 partner. Two-time Grammy Award winning Country Singer Miranda Lambert is no longer single, having announced on social media on Valentine's Day that she has tied the knot with a New York Police Officer. She said on Instagram, "In honor of Valentine's Day I wanted to share some news. I met the love of my life," Lambert wrote in the caption. "And we got hitched! My heart is full. Thank you Brendan Mcloughlin for loving me for.... me." According to People Magazine, the New York Police Department took to Twitter as it praised Mcloughlin and another officer last March for apprehending two criminal suspects in separate incidents.